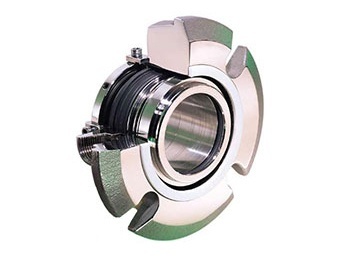 The Type 37FS fully split mechanical seal helps significantly reduce maintenance on larger, difficult-to-seal equipment. It is recommended for use on heavy-duty packed equipment that previously could not accommodate mechanical seals due to severe shaft run-out and vibration, difficult disassembly, worn-out equipment and similar problems. Its outside-mounted design allows it to be used on both vertical and horizontal applications. The elastomer bellows compression ring provides extreme flexibility. 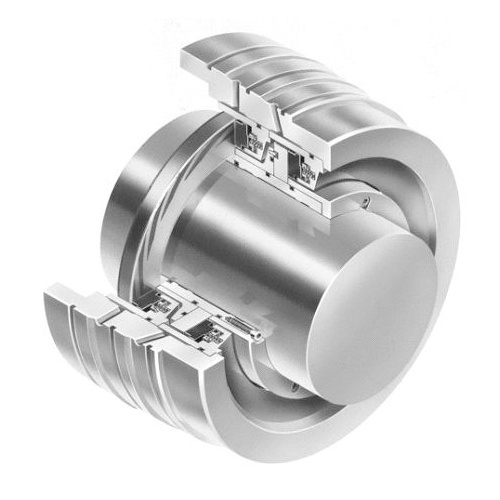 Shaft deflections, angular misalignment, and run-outs are "tracked" by the seal without diminishing performance. 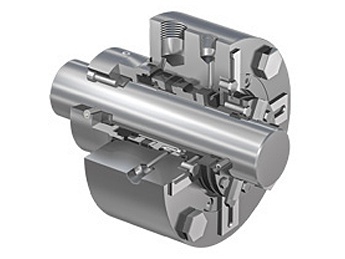 Type 37FS split seals solve shaft motion and vibration problems that prohibit use of other seal designs. 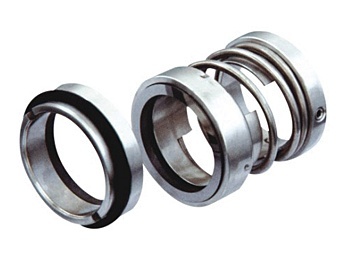 The compression ring acts as the spring, eliminating clogging problems seen in fibrous or abrasive services. The wide sealing surface of the sealing ring prevents leaks even on the most worn, pitted shafts. Rotating assembly self-aligns itself square with the shaft for true running. Fewer parts and simple design allow for easy installation. Can be readily mounted on worn shafts and out-of-square stuffing boxes — no modification of equipment needed. Crane Engineering recommends John Crane seals for many sealing applications throughout your facility. We've seen them be put to the test in harsh environments and difficult to seal applications, and succed. Their lines of single cartridge seals offer fast and easy installation for maintenance teams with little time for seal maintenance.